Hey there. "I'm going to wreck it!" I LOVE Wreck it Ralph! I thought it was one of the best movies of last year and I knew that at one point or another this year, I would give out a copy of the movie to one of my viewers. But I'll admit that I was torn between two prizes... Wreck it Ralph or the new Tomb Raider video game. I took to the facebook fans to decide and Wreck it Ralph won the vote by a single vote! So here it is, friends. 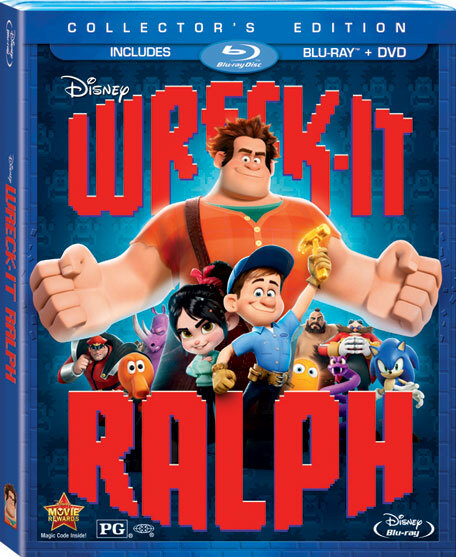 The Wreck it Ralph Blu Ray/DVD Combo Pack giveaway! If you're looking at this post, it's because you've seen the movie, love the movie, and want a copy of the movie! I'm sure that you already know the story behind the movie and how awesome it is, but if you still want to hear my thoughts on it, you can check out my post on Wreck it Ralph here. Otherwise, let's get on with the giveaway! The giveaway will be live from now until April 7th and the winner will be announced on April 8th. 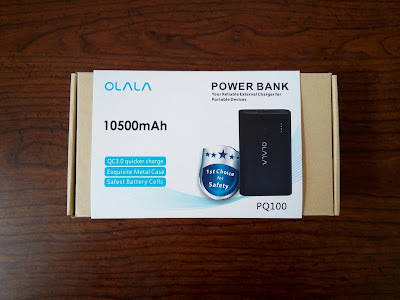 The giveaway is open to residents in the US and CAN. If the winner is from Canada, you may be asked to pay for additional shipping costs. Please keep this is mind before entering. Also, there is only one madatory entry and that's leaving a comment with your favorite video game of all time! You know... the one that you could play forever and never get tired of it! Mine? Well... there are a ton of great games out there but you can't deny the classic Tetris this title! I can play that game forever and continue to push myself to get better scores. Good look, everyone! Later! Yeah, I hear ya, Candance! My favorite is Sonic the Hedgehog, or Super Mario 64. Hard to pick a favorite of all time, but one of the ones on the shortlist would definitely be Shadow of the Colossus. Oh yeah! That is one of the best PS2 games ever! Now that's old school right there! My favorite is usually the game I'm currently playing! Hmmm, I'd have to go with Prince of Persia, which was one of the first games I really loved to play! My favorite video game of all time has to be "Super Mario Bros." on the original NES. I saw this movie before in the theatERS! Tony LaRussa Baseball 2 is my favorite all-time video game. I've loved Centipede since I was a little kid. My all time favorite video game is Pacman. Uncharted series for PS3!!! All 3! Pitfall is the best video game ever! My favorite game is the new Tomb Raider. The Elder Scrolls 3 Morrowind!!!! I'm still a mario fan! Star Wars: TIE Fighter CD-Rom Collection is tops on my video game list. Any of the Mario World games from the N64. I love Super Smash Bros.
Super Mario World...love any of the Mario games for the SNES! They were the best!! Gears of War is my favorite.